PDFs (Portable Document Format) are well known documents that everyone uses, if not, he or she will encounter soon. To work with PDFs on a PC you need Adobe Acrobat Reader. 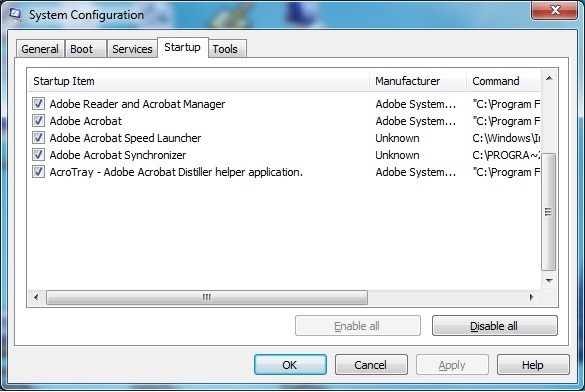 Next to the Acrobat reader you need other helper applications which take up useless memory, because we don’t use it constantly. So in order to view PDF you have to have Adobe Acrobat Reader, a tool that one would expect to have evolved pretty well in the last 15 years. One could not be more wrong about this assumption, because the general rule is that with experience you get increased quality, but it is not the case with Adobe Reader. I don’t even know why companies ask for years and years of experience, when they are not really reflected with this tool. Anyway this is how this tool should e installed for home. One must go and search online for it, then download and install it. After that he should run msconfig and disable the 5 start up services that are automatically added to your start up. It is tools like these that are turning any Goliath of speed into a crawling wept snail. So run Msconfig and disable not one, not two, but 5 start-up services. It is beyond any common sense. It is because of these type of people that we now have to go to redundant colleges that teach common sense. 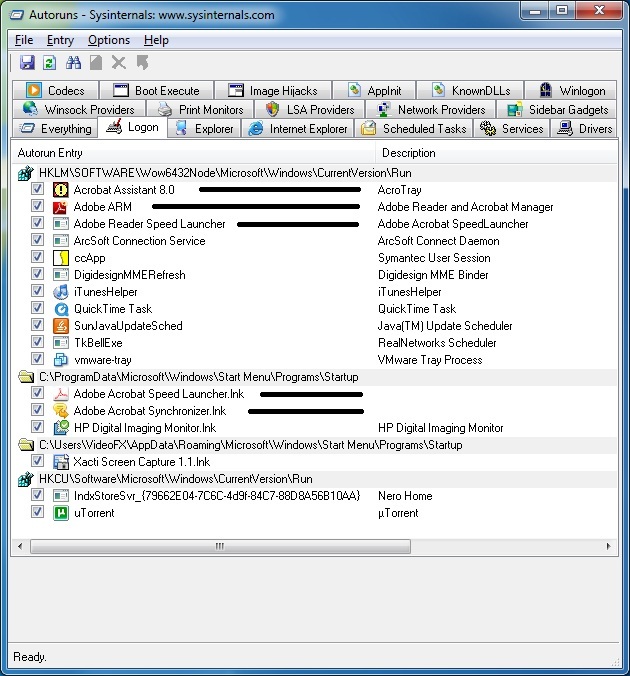 In addition you can also use Autoruns from Sysinternals to disable the same services. Just uncheck the services you need. As you can see there are a lot of application that add services to start up. These applications are constantly running for no reason and they are not useful. To learn Adobe DreamWeaver with HelpDesk Click Here!